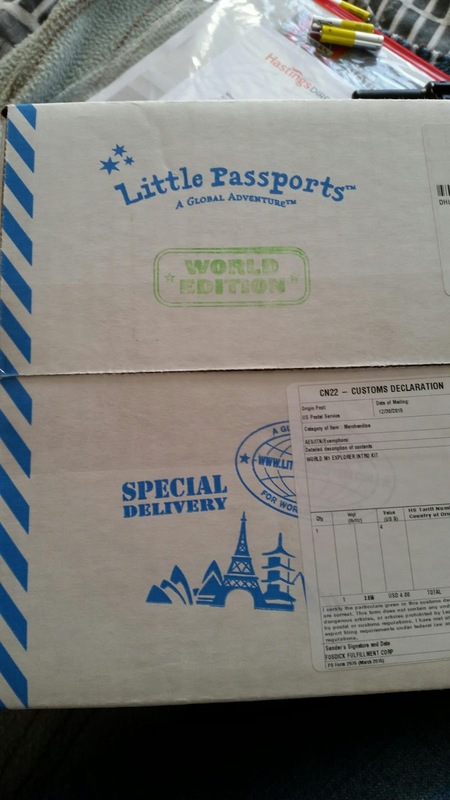 Is this really my life....: Little passports is a hit !! 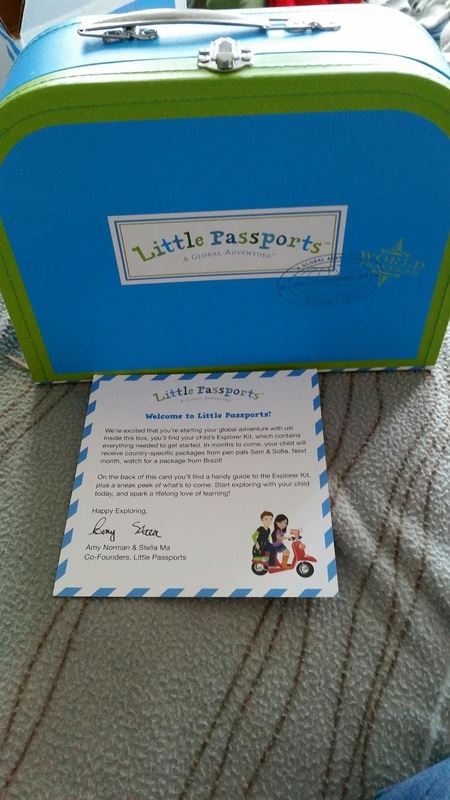 Little passports is a hit !! Today the long awaited surprise came through the post. Little passports came through the post in a lovely box decorated box that says little passports, so there's no mistaking the parcel that comes through the post. The parcel itself came from the United States and took around 10 days for it to arrive ( a little longer in my case due to it being Christmas and new year). When the parcel was opened there was a mini letter to me, explaining what the parcel holds and other details about little passports. 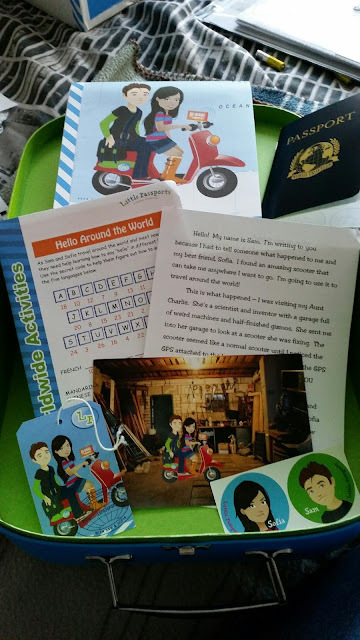 As the story goes Sam and sofia are 10 year old children and they travel on a magical scooter to different continents. Inside the 1st parcel TJ found a suitcase, a passport, stickers, an activities booklet,a map and a luggage tag. The luggage tag opens up yet more amazing treats online. The map is medium sized to put up on the wall which is fantastic for those inquisitive minds. I don't want to give to much more away as it'll ruin the fun. But it's safe to say I can't wait for next month's parcel to come.